August 15th is Carnival Sunday - and from 12:00 noon the Colzium will be buzzing. KICS regulars know pretty much what to expect, non-stop music, variety, performance and dance action across several stages, funfair, craft fair, model trains, the grand but slightly bizarre carnival parade, crazy costumes, a bit of mayhem, samba, taiko and pipe bands belting it out, beertent, bellydancers, and a choice of catering to suit most tastes. It's a little bit crazy, but it's incredibly affordable because most of the people you will meet are unpaid volunteers and it's a genuine community-run not-for-profit event. The usual advice applies: come early, use public transport or park in Kilsyth town and/or walk the 15 minutes to the venue, bring suntan cream and a brolly because the weather is usually warm but with the odd shower in August and you may need both. Bring granny, grandad and the weans - and even that distant cousin who just dropped by for the weekend - because this is a day for the whole family, wear bright colours and be ready to party! Dogs and other furry pets are welcome, but on a lead please. Mr Mickey Ferrari - smoothtalkin' MC of Glasgow and Scotland's hippest Umoja Events (Byblos club nights, Elevator) is to host KICS main stage - together with Star Child rappers - let's all get ready to party! Music: With big names like Dougie MacLean and Latino-Scottish fusion outfit Macumba headlining, variety is the theme of the day. Other treats include Esperenza high energy ska band, (right) Dean Queasy, a Jazz quartet, and Afro-urban rappers Star Child and a break dance crew. Entertainment and Variety will include Eletricat's Brazilian dance team, Tepooka circus acrobats (left), belly dancers and much more. If you are looking for peace and quiet, (and want to meet the organisers!) the Walled garden provides an opportunity for quiet reflection, and there are lovely waterfall walks up the glen just minutes from all the mayhem. But if it's more excitement you are after, from the open air stage across to the Big Top tent, there will be at least a dozen bands to choose from to suit all tastes and musical interests. Plus we have the biggest and best Craft Village ever .. and we are still wondering how we will fit them all in. Headlined by Scotland’s foremost folk/roots troubadour, Dougie Maclean, the 6th Kilsyth International Carnival celebrates variety and diversity with a packed programme of acts covering every genre from rap to jazz and salsa to ska. Expect non-stop music and dance across several indoor and outdoor stages plus funfair, craft market, grand parade, circus workshops, crazy costumes, licensed bar and a choice of catering to suit all tastes. Known the world over for his unique blend of lyrical, 'roots based' songwriting, Dougie MacLean’s songs have been covered by a whole host of artists from Paulo Nutini to Frankie Miller and have gained him an international reputation as songwriter, composer and extraordinary performer. Listen out for Homecoming Scotland theme ‘Caledonia’. 23 strong all female samba band from Stirling that is the longest-running female samba band in Scotland and the nation’s first all-women drumming group. 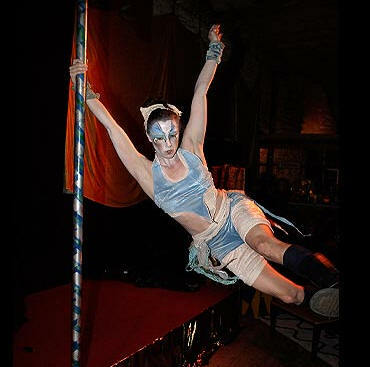 Mischief makers Tepooka will be showing you how to runaway with the circus with a series of free circus workshops throughout the day and performances for the whole family to enjoy. Scotland meets Brazil with this unique blending of Scottish bagpipes with the infectious rhythms of Brazilian percussion. Famed for their high-tempo, energy-draining sets, Scotland’s hardest working Ska band has played alongside some of the greats of UK two-tone, Jamaican and US ska, including Bad Manners, Neville Staple, The Beat, Skaville UK, The Heptones, Toots and the Maytals, Pauline Black, Bombskare and The Toasters. This pop-country duo blend the intimate conversational writing style of American Country music with infectious Pop melodies in a style that takes influences from Pink, Brad Paisley, Christina Aguilera, Gary Barlow, Sugarland and Keith Urban. Stewart Horn has been a fixture in the Glasgow music scene for twenty years, playing guitar in almost every type of ensemble imaginable. Here he has assembled a quartet of outstanding improvisers and has promised a set “from the funky and danceable end of the jazz spectrum”. StarChild are a group of 3 rapper's and a dj, the performers are Sami Omar aka Shaty, Fahad Said aka Ghost, Mickey Ferrari and Proud. A local Kilsyth band who will delight their dedicated fans at the Colzium. A Glasgow based band who describe themselves as a mixture of Garage, Blues and escapism!